Cork backing and heat resistant to 100C or 212F. Spode is now owned by English manufacturer Portmeirion Pottery. 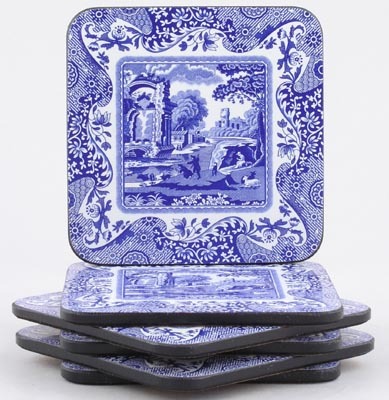 If you already have items produced by the original Spode company, you may notice slight variations between those items and the newly produced pieces.